I cannot tell you the endless amount of hours I used to spend playing Super Smash Bros. on N64 with my siblings. I always played as Yoshi and my little sister usually played as Kirby or Mario. The first time she inhaled my Yoshi, I was shocked, then amazed! 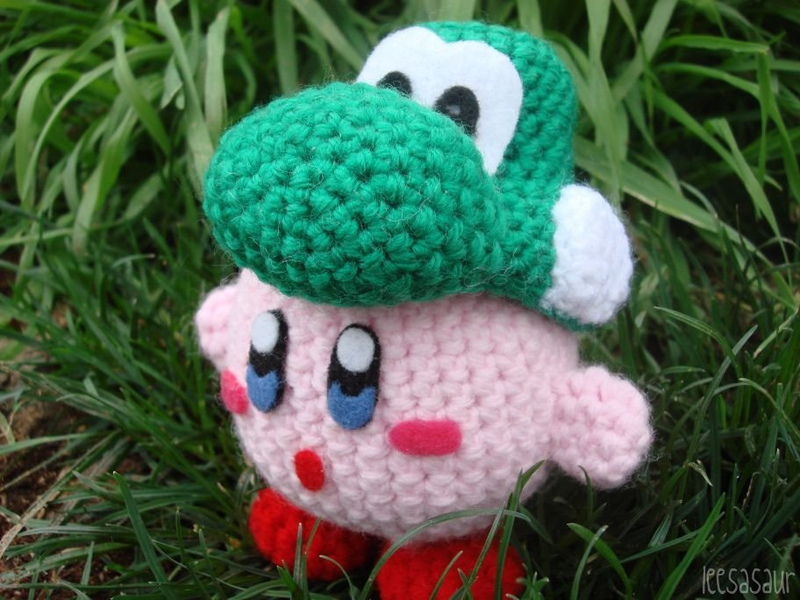 Kirby transformed into a mini Yoshi, adorned with hat and ability to lay eggs. It did get annoying really fast when she would continually do it, but still, it was a cute concept. We tried out every Kirby character. We even spent time doing this Donkey Kong-Jigglypuff glitch that I probably shouldn't mention... But continuing on topic, Kirby is pretty awesome in this game. So I wanted to do a tribute project. I started this a couple weeks ago but I got lazy with the finishing touches up till now. 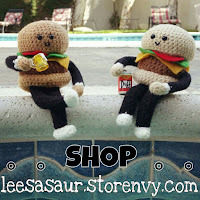 I am happy to put this project out because it's so playful and fun! Who will Kirby take form of next?? 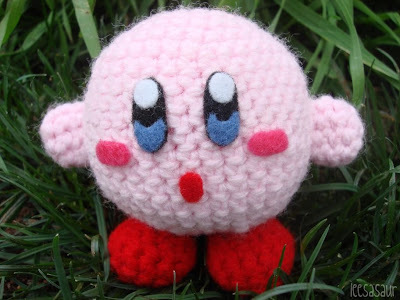 What's great is that all you need is one Kirby amigurumi and a collection of accessories to complete the different looks (Unless they're hair extensions, like Jigglypuff). I expect this project to go on for a while, or at least till I get tired of it! I would love to have a pattern for these hats, and also the pikachu one. 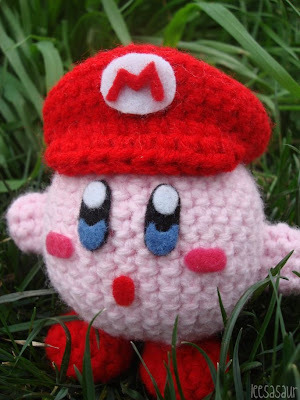 My boyfriend is a Super Smash bros addict and I'm making him a kirby and as many hats as I possibly can to go with it.